Getting your website found on the wide web is like searching a needle in a haystack, and getting recognized is the key to your success. But, how is it can happen? Well, the answer is Search Engine Optimization services(SEO). SEO is an art of optimizing your website for the key search engines. It is the combination of keywords, onsite and offsite optimization, and market analysis that opens up the way for search engines to find your website and rank it in the appropriate key search terms. Managing the project would be a daunting task to handle alone with other key tasks necessary to run a business. Fortunately, SEO agencies are there to help. Related Blog: Is Your SEO Company Really Helping You? With all the key strategies and management to run and grow your business, do you think you have enough time and source to do SEO on your own and pull up your website on the top? Precisely, the best way is to share your load with a well-established company that can offer you an all-in-one solution for your SEO project. It would be a hardship to evaluate what services you should look for among numerous SEO companies where some companies are specialized only in SEO or link building whereas other firms are specialized in offering end-to-end packages; right from website redesigning to ongoing SEO maintenance. Let’s experience basic services you should not overlook when evaluating the best online marketing agencies. Researching appropriate Keywords – Creating keyword portfolio is the base on an online marketing campaign and one of the most crucially important services offered by any professional SEO agency. Keyword research is one of the most crucial solutions any specialized Search Engine Optimization professional can offer you. Various techniques are used while developing appropriate keywords phrases. Some of them include customer feedback, competitor analysis, social media keyword research tools and more. Mapping out the correct Strategy – SEO professionals help you organize a correct strategy acceptable to get the highest return on investment by driving traffic to the website and increasing the conversion rate. The technical analysis of your website and keyword research are the base of your SEO campaign that maps out your marketing plan and then starts putting the SEO activity into action. Finding out Link Building – The validation of your website is based on your website backlinks viewed by the search engines from other credible, trustworthy and relative websites. So, when hiring an SEO company make sure that it has developed a network of contacts, developed relationships with webmasters and also knows the right way of finding best link building opportunities. Copywriting – Another essential service most reputable SEO service providers offer is the copywriting. On-page and Off-page optimization are important for an SEO campaign but it is not the only thing you need to fuss over. The variation amid a low and high bounce rates may drop down to the quality of your copywriting. Your hired SEO expert can help you get the balance between engaging and keyword-rich copy that eggs on conversations. Website Design – The design of your website can be one of the most important bits of your campaign and so far a neglected SEO services. 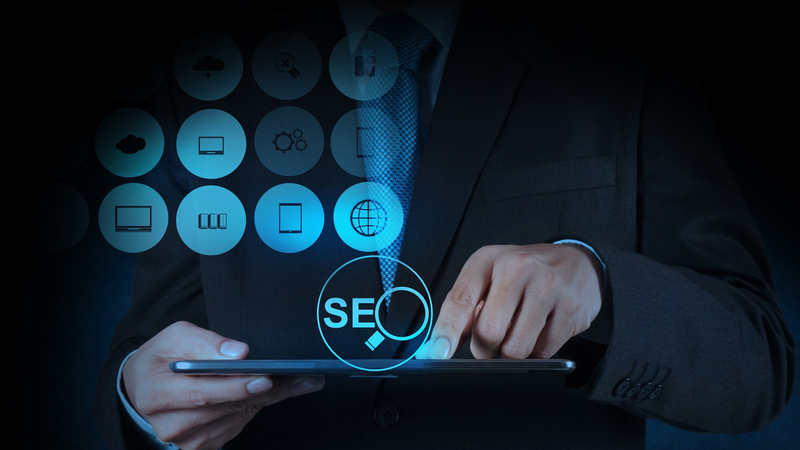 Make an SEO professional ideally consult your website right at the start of the process while choosing on a technical platform; a CMS (Content Management System), Shopping Cart software or any other important design element. Moreover, a wrong platform can, unfortunately, have serious consequences for your potential success. In the nutshell, while looking for a service, it is advisable to have a look on the activities more efficiently and hire an all-inclusive digital marketing company that can offer you a full package of SEO services. Opt for companies that can offer you web design services and help you build an innovative and beautiful website inclusive of all necessary search engine optimization functionality; well-skilled link analysts that can manage your link building campaigns; and also professional copywriting SEO services.